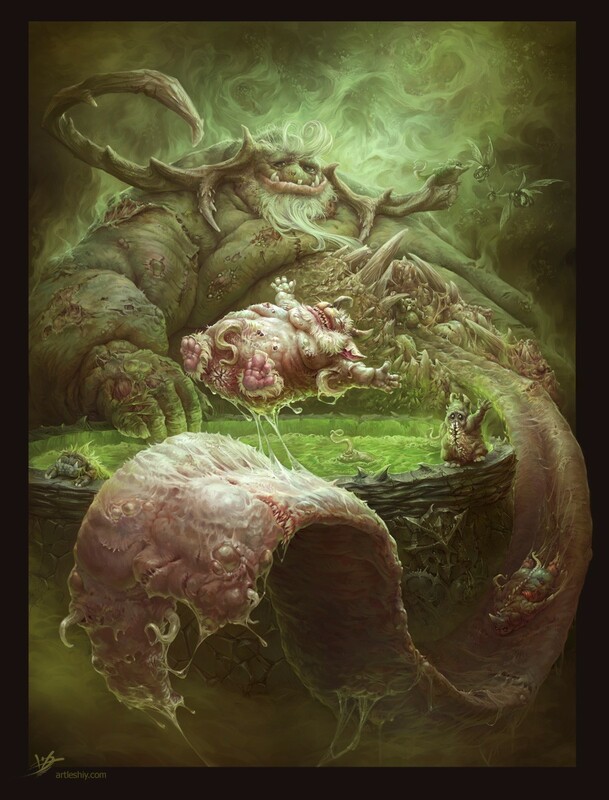 “Grandfather Nurgle” was created for the art-duel: “DEITIES of the WARHAMMER!! !” and here you find little story about it. Nurglings – daemonic servants of Nurgle, they look like miniature representations of Nurgle, with friendly, mischievous faces. They are gregarious, agile and constantly active. 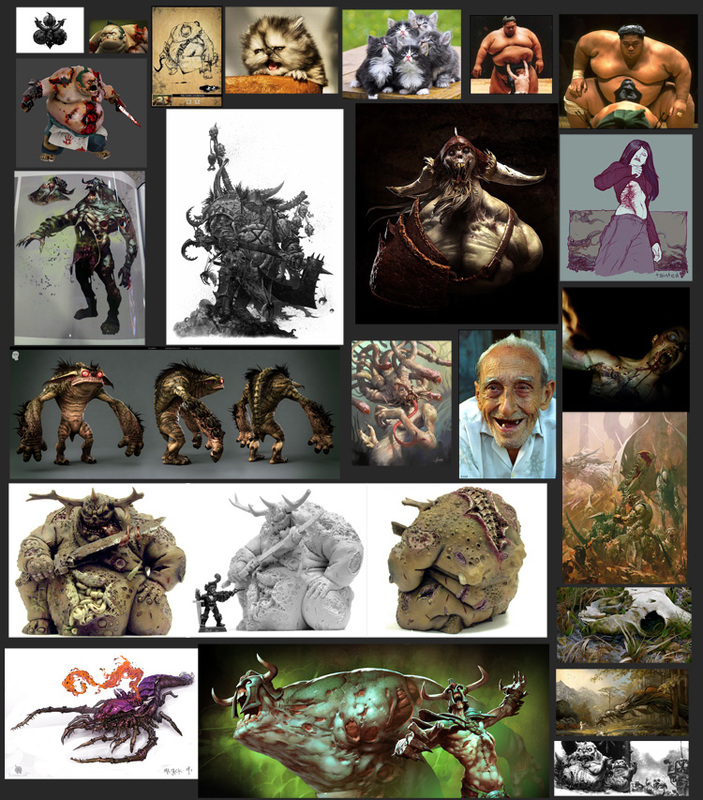 Nurgle colors are painfully green, yellow and brown colors portrayed in simple geometric forms. His followers often find it advisable not to wear its symbol (a symbolic representation of an ulcer or flies), instead, they prefer to cover their body, concealing its deformity and disease, as well as inspiring others to fear and despair. 7 is the number of Nurgle, and his followers to lay in an amount equal to or proportional to the number. The choice I made very quickly – paradoxical concept cheerful and good-natured rotting pile of flesh quickly won me. For a fantastic description of Nurgle hides a much more profound philosophy, which perfectly coincided with my outlook in general, and the mood at the time. The bottom line is that every question one answer – “death”, and nothing terrible and even more wrong, it does not … there is nothing eternal and should just remember that. The fact of the completion of no worse than the fact of birth, in fact, the end of one – always the beginning of another. All the matter in relation to the case … A man wakes up every morning and performs the same action as if going to live forever – saves, strives, puffing and generally doing everything to be, without thinking what is all this, oblivious to the fact that everything has an end … It does not matter “how” important “why”. 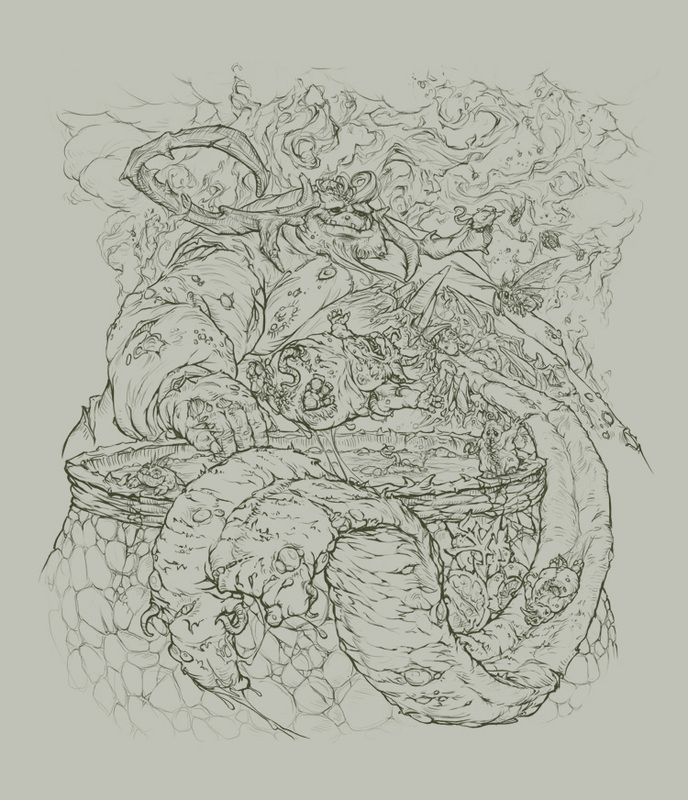 Digested absorbed information and emotions, I fixed some concretized concept (logline): Grandpa Nurgle swollen beside his big plague cauldrons as the fireplace touched by the amusement of her dear granddaughter that play on his body. As usual, the first week I read, mull over and making sketches of the chosen topic. After collecting another stack references, sorting through multiple angles and fragmentary sketches, I came to the general composition (as is easily seen, it remained till the end), which sufficiently expressed the idea. 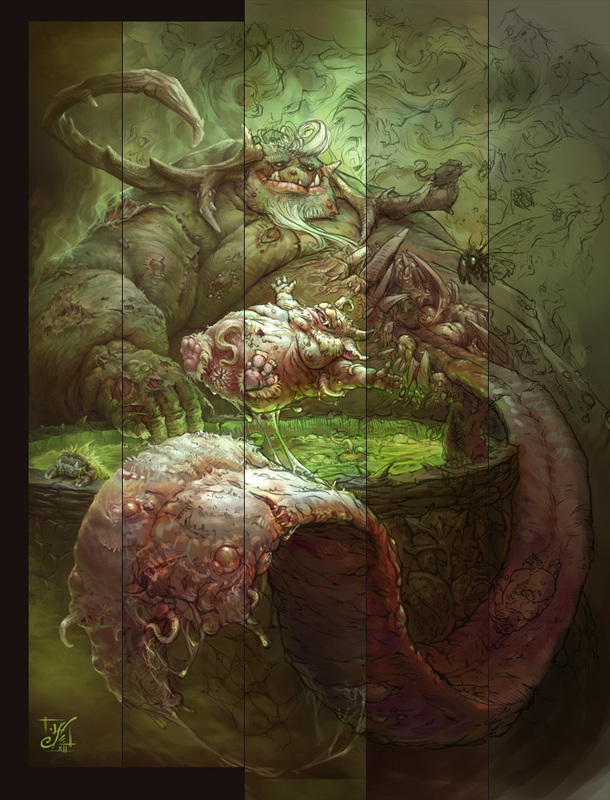 Here I ran into some issues: first, Nurgle is very large and I do not want to lose the scope of his “good,” while also wanted to focus on nurglingah, holding his grandfather in the background. Secondly, it was necessary to add some dynamic and rhythm flowing, for it sounded melodic and the viewer was on the way I desired, according to the idea. By the end of the first week I had finished sketch in the lines, which allowed us to estimate the total composition and nuances. That’s the beauty of the lines – in a relatively short period of time you can get a general idea, to evaluate and verify the correctness of the chosen direction and make changes with minimal… Old good principle of “from the general to the particular” about which is often overlooked, and in the end everything starts to fall apart into separate pieces, each of which by itself is not bad, but together they do not want to dance. Below is a “map” of the distribution of accents, in the order that I had in mind (that accent! ): The greater the contrast areas – the stronger focus – power focus and their relation to determine the sequence pull the viewer’s attention, that is, then the order in which the audience will examine the “window” picture looking out of it the first time. These accents can be implemented by various means: color, brightness, saturation, overflow or line break and volume, clarity and turbidity, crushing and solidity, more or less, and so on … and the best in the complex. In the case of video sequences – all the same, just a bit more complicated: direction, duration and nature of the movement are added to this set. The principle is similar to the work of DOF-effect: the space is divided into subspaces and plans, each separate area looks solid, but relatively nearby area – contrast that makes the view above all to rush it to the maximum contrast stain. When eye dismantled image on general spots begins studying details within each of them and discover new nuances (subcontrasts)… but it’s monolithic and uniform, one flows into another. All this can be seen in many of your favorite works by other authors … Do not believe me! Check it out! Thanks, for your attention, my friends. 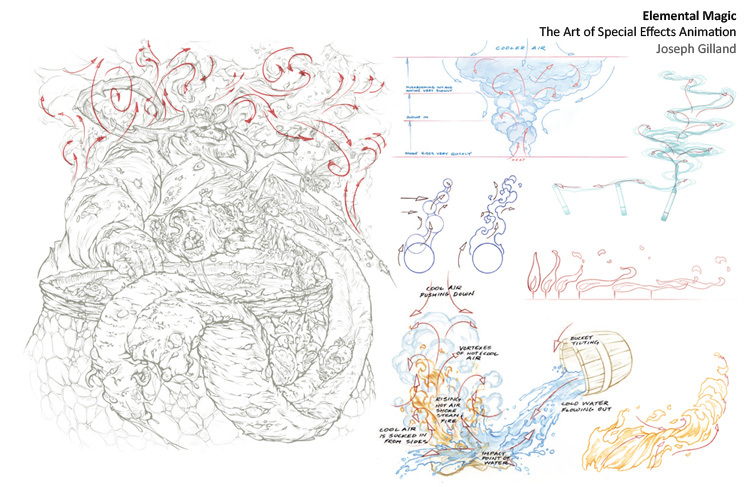 Read the Making of “The Berserk Flash” if you have some questions, some of them just disappear. All conscience, kindness and smile!